Today marks a year to the day since the first rugby sevens Olympic medals were awarded at Rio 2016 and there are gold, silver and bronze medallists among the Women's Rugby World Cup 2017 squads counting down to kick-off on Wednesday. The Executive Board will recommend to the IOC Session to retain all 28 sports for Olympic Games 2024, including rugby sevens. 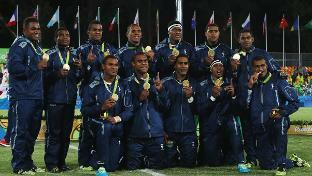 We look back at rugby sevens’ debut at the Olympic Games in Rio de Janeiro, focusing on gold medal winners Fiji and Australia. 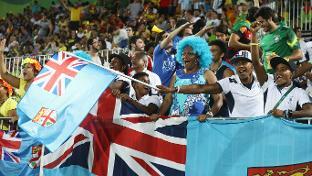 A new study conducted by Nielsen Sports on behalf of World Rugby has found that the number of rugby fans in the six markets surveyed has grown by 16.83 million as a result of the sport's inclusion in the Rio 2016 Olympic Games. In her latest column, Alicia Quirk - known as Quirky to her team-mates - looks back on Australia's Olympic success and reveals the emotions during and after their moment of glory at Rio 2016. 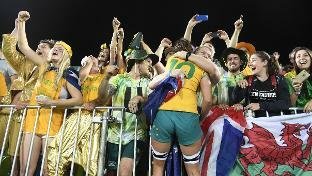 Australia women's sevens: "We just won gold!" Rugby Stars in Rio: Emilee Cherry is into the final in Rio!